Vanilla Update | wake up, little sushi. 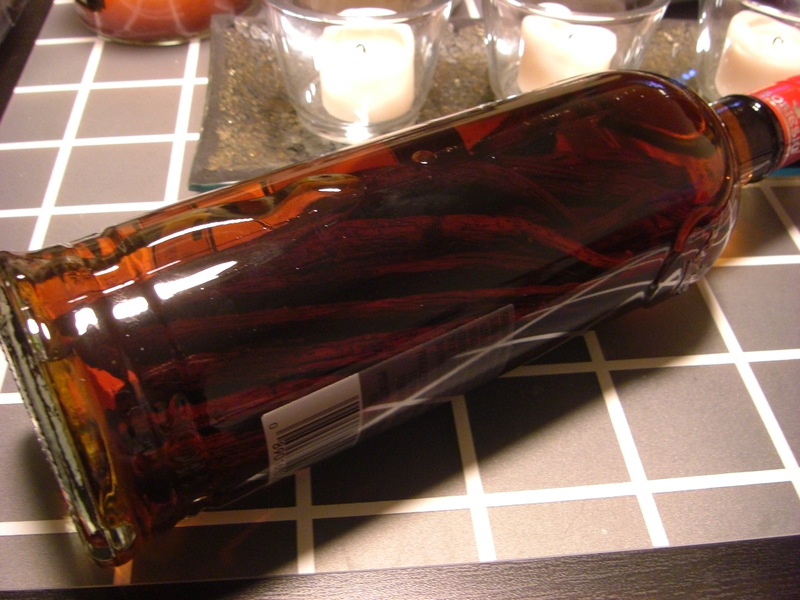 The vanilla extract has turned a beautiful deep amber color. 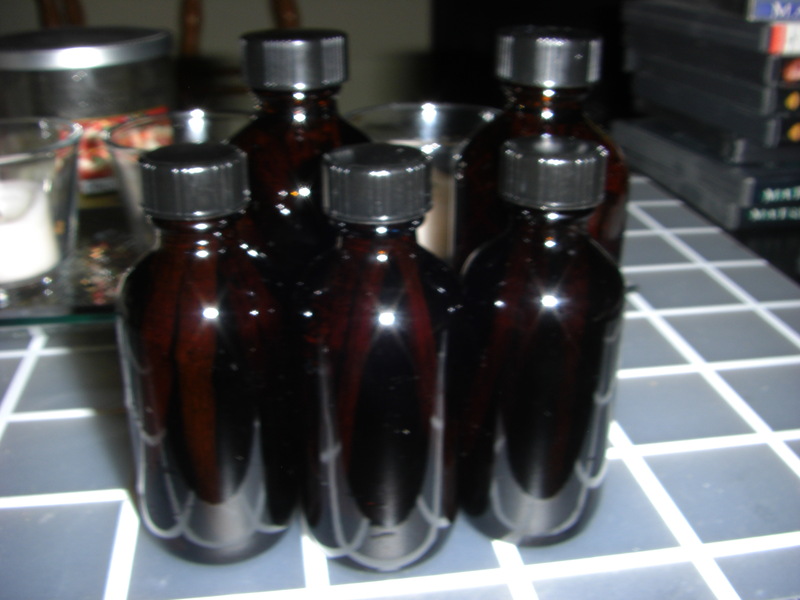 I purchased amber-colored Boston Round bottles from Specialty Bottle. The bottles are very reasonably priced and high quality. Shipping is a bit steep unless you’re ordering a few, but they arrived in a small box protected in a larger box full of packing peanuts, and each bottle was separated with corrugated cardboard. I can’t imagine them breaking during shipping based on the quality of the bottles and care taken during packaging. I also purchased two tea storage tins with hinged latches which run just under $2 (it seems most specialty tea tins I see in stores run closer to $10!). I’m also impressed with their quality. 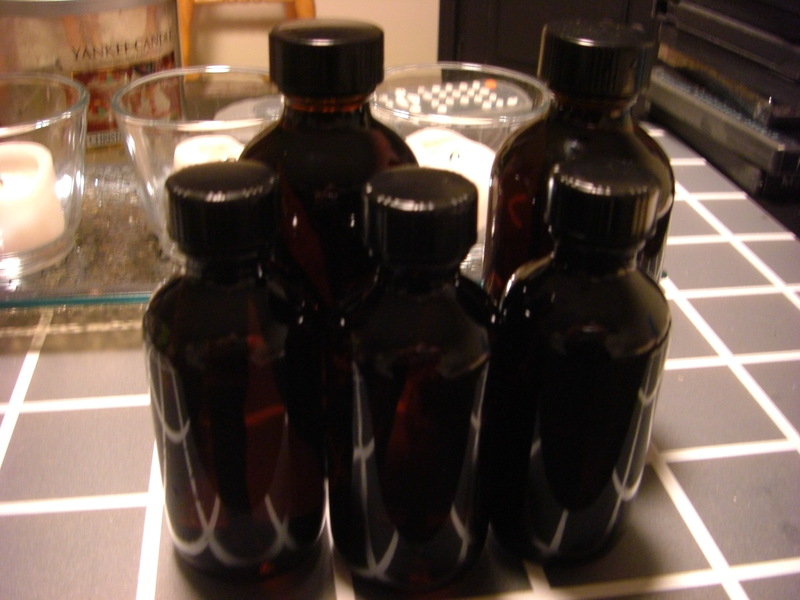 I poured vanilla extract in three 2-oz bottles and two 4-oz bottles and added a few vanilla beans to each. I might add a ribbon, but otherwise they’re ready to go to their new homes! You are currently reading Vanilla Update at wake up, little sushi..